Summer view of main courtyard and main entrance gate to Bratislava Castle, Slovakia. 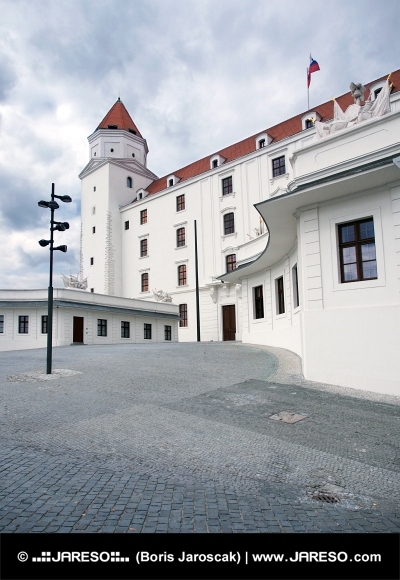 Bratislava Castle is shown here in new white paint that was done during ongoing renovation and archeological preservation which begin in 2008. 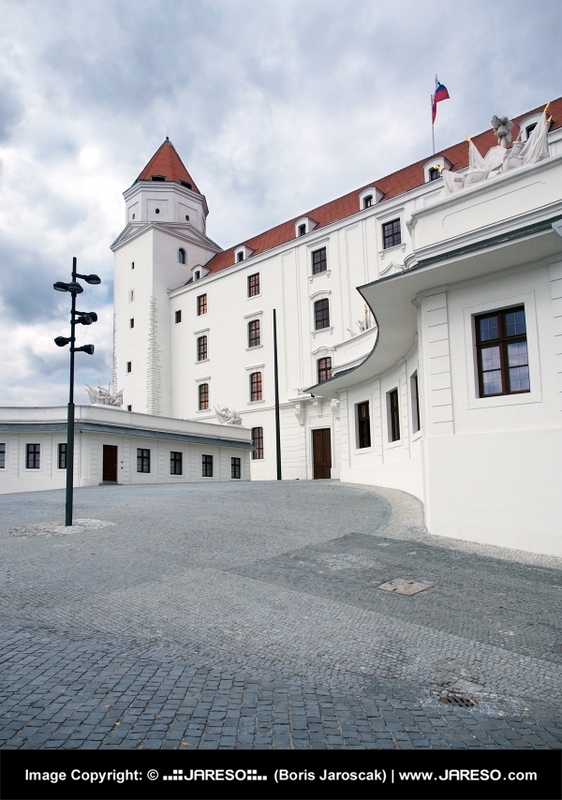 Bratislava Castle is located on hill above the river Danube in Old Town (Stare mesto) city district of Bratislava. This castle houses museums and various presentation rooms. 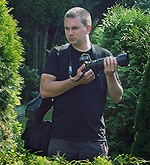 It is popular symbol of Slovakia and one of the top tourist destinations in Slovak capital city Bratislava.